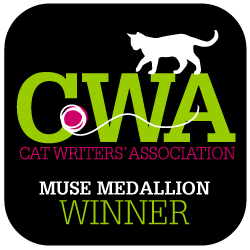 You are here: Home / Cat Behavior / Is It Possible to Tame a Feral Cat? I have a question about feral cats. I brought a feral cat into my home during winter. It’s been about 6 months since I brought him home, and he doesn’t allow me to touch, pet, or handle him. He does let me hand feed him now, and he is making some progress because he used to run and hide every time I walked by him. I guess I’m just wondering if he will ever allow me to touch him and hold him like a house cat? He just sits by the window looking outside. I kind of feel bad but I don’t want to put him back out on the streets. I’m not sure what to do. Thomas: Well, Kirsten, it is possible to tame a feral cat, but it takes lots of time and patience, and it depends a lot on whether the cat has had any contact with people before you took him in. Bella: A cat that has had contact with people and has enough trust of humans to get near them is usually referred to as a semi-feral cat, or possibly even a scared stray. A semi-feral or scared stray will take some time (maybe even a lot of time) to warm up to people, but they will do so eventually. Tara: A truly feral cat can never be socialized. You’d never be able to touch your little guy if he were truly feral because he would greet any approaches with a very aggressive posture. Thomas: A feral cat most likely wouldn’t even approach you for food, let alone anything else. Bella: Alley Cat Allies has some good tips on how to tell a stray cat from a feral one, and this could be instructive not only for you but for other readers as well. Tara: That said, we do think your guy is a scared stray because he’s actually letting you feed him and he’s making progress toward being more sociable. Did you know that even though I’m a pretty well-socialized pet cat who’s used to living with people, that it still took me months before I was brave enough to come out of hiding and sit on Mama’s lap? Thomas: So, how do you tame a feral cat? Very carefully, and very patiently. Bella: It’s actually easier to tame feral kittens than it is to tame feral adult cats. Why? Because kittens have what professionals call a “window of socialization” in which they can become adaptable to life with people. If you’re able to get a feral kitten into foster care before they’re about eight weeks old, you’ll have much better luck taming them. Tara: But we’ve heard of people taming feral cats that were as much as a year old. It just take a lot more time and patience. Thomas: So, about your situation, Kirsten: there are some things you can do to help your cat feel more in control of his environment, which should make him less scared. Bella: First of all, do you have a cat tree or some other way your cat can get a view from far off the ground? Sometimes having a high vantage point can help a cat feel less scared. Tara: On the other side of the equation, do you have any den-like places your cat can go if he’s feeling overstimulated? That could be something as elaborate as a fancy bed to something as down-to-earth as a plain old cardboard box tipped over on its side. Thomas: With some blankets or a pillow inside it, of course, because every kitty likes to be comfortable! Bella: Play is another great way to build a bond of trust between you and your cat. It’s especially good if you do a hearty round of play followed by food. That engages a cat’s natural “hunt, play, kill, eat” pattern. 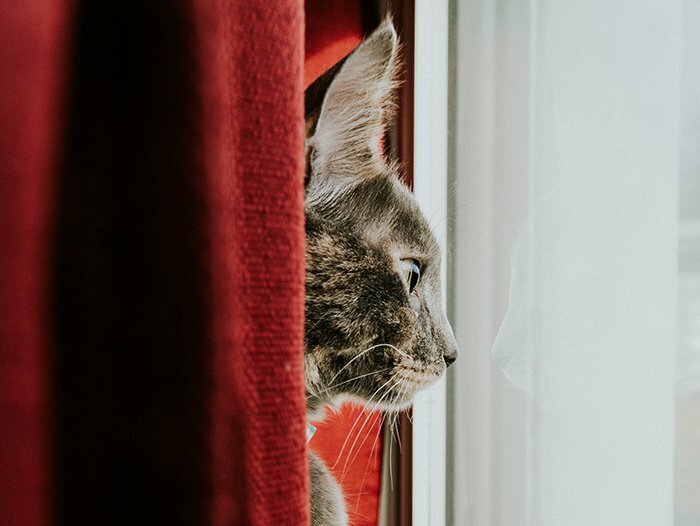 Tara: The point of playing with your little guy is not only to build your bond, but to increase your cat’s confidence so he feels safer doing things like coming close to you and perhaps even letting you pet him. Thomas: Even Alley Cat Allies says play is a great way to soothe a scared stray kitty. Their tips are pretty good, and you can find them here. Bella: So, what toys should you get? Well, we personally favor Neko Flies and Da Bird, but even a peacock feather could work. Whatever kind of “thing on a string” toy you buy to play with him, it should be quiet when it hits the ground–so no loud jingly bells or sounds of hard plastic hitting the floor. Tara: Between play, food, and just quietly being with your kitty, he will eventually come around. Your time and patience will eventually be rewarded, so don’t give up! Thomas: What about you other readers? 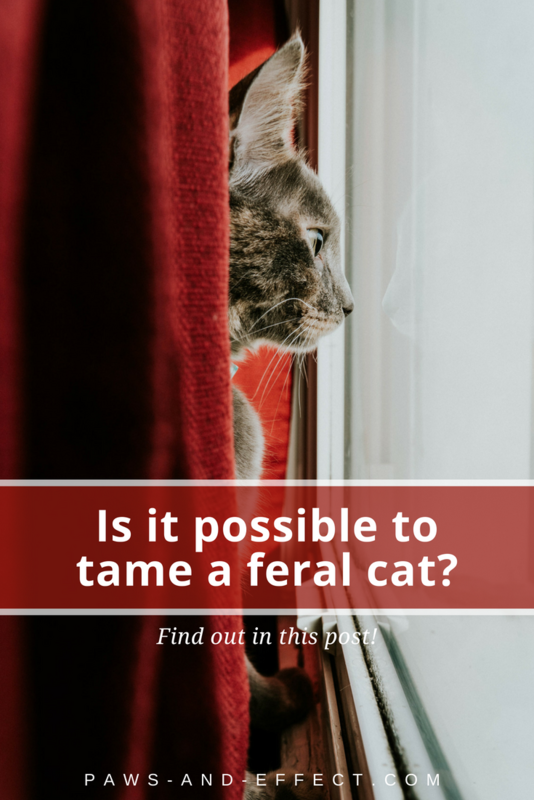 Have you ever tried to tame a feral cat? How did it go? Do you have any tips that will help Kirsten? Please share them in the comments!